Through technical partnerships with the most prestigious car racing and motorcycle racing teams, MOTUL has developed a wide range of lubricants for applications including Racing and Sport cars and motorcycles. 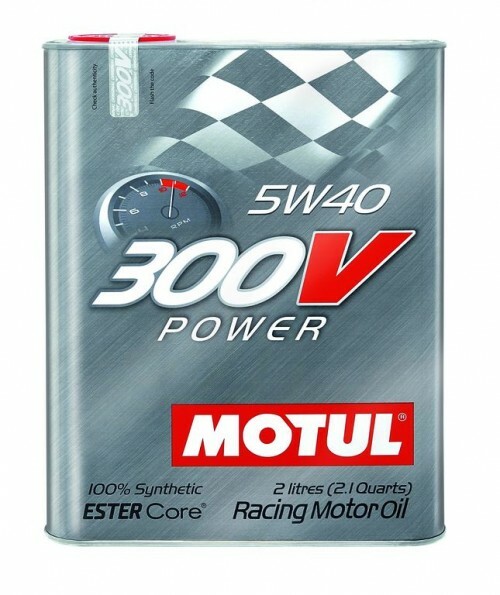 The Motul 300V motorsport line improves performance of the latest generation engines along with high protection against wear, oil pressure drop and oxidation due to high temperature. Power and Reliability. Extensive UOA has been performed to ensure quality, performance, and reliability of CounterSpace Garage's time attack, trackday, and daily driver vehicles. Motul recommends this oil for Sprint and Rally applications. Suggestion: Please ensure you order a sufficient quantity of oil for your engine oil change. Note: Contact us if you require a specific engine oil weight in the 300V line up. Thanks.